There’s nothing better than climbing into your sleeping bag at the end of a long day on the trail. The sound of that zipper pulling closed makes your entire body tingle with excitement and soon, you’re rewarded with full-body comfort and lulled warmly to sleep before exhaustion sets in. Bring the wrong kind of sleeping bag, however, and you’re subject to one of every backpacker’s worst nightmares: A pack that’s too heavy or a sleeping bag that’s not warm enough for the weather. Bags prone to collecting moisture can even ruin a trip at the drop of a hat and run the risk of keeping you damp and cold all night. To help you decide which bag is best for any type of outdoor excursion, we’ve combed through the sea of available options to find the very best. Here is our guide to the best backpacking sleeping bags you can buy so you can rest comfortably and worry-free night after night. This small company knows how to keep you warm — in a big way. The Feathered Friends Swallow UL Nano 20 nabs the top spot in our round-up thanks to an impressive warmth-to-weight ratio that’s perfect for almost any backpacking trip — if you have the $550 to spend. Its 950+ fill power goose down makes for incredible loft that cradles your body in comfort and though it’s rated at 20 degrees, the company is a known conservative regarding its rating tendencies, meaning you could certainly go colder and still be comfortable and stay warm. Feathered Friends uses Pertex Endurance UL shell fabric complimented by Flite 15 denier ripstop nylon lining, so you don’t have to worry about it ripping or tearing easily, and the exterior fabric is also water resistant. The most impressive feature is the product’s featherlight weight — at 1 pound, 11 ounces, this is one of the lightest sleeping bags on the market for its warmth, going neck and neck with Western Mountaineering’s line of comparable bags. REI continues making strides with its growing line of high-quality outdoor products which rank up there with the big brands while costing half as much. 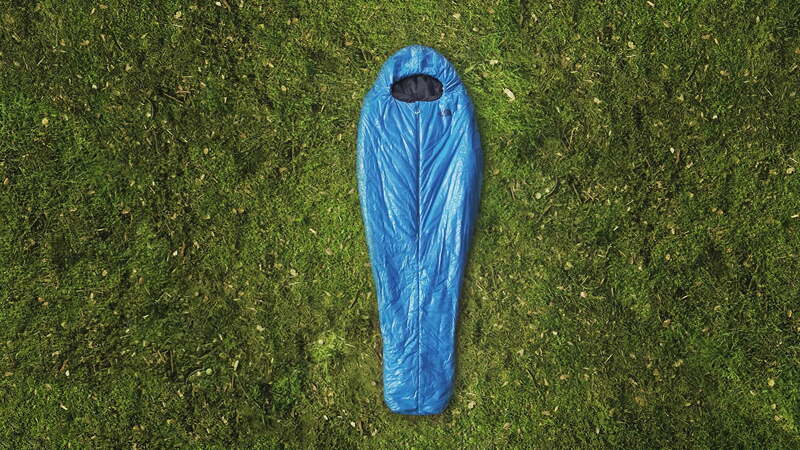 To design a 25-degree backpacking sleeping bag for just $270 is quite a feat — something REI deserves massive kudos for. The Igneo may not be as warm as the Swallow but it’s still appropriate for three-season use. 700-fill duck down gives this bag plenty of loft and a DWR-coated 20-denier ripstop nylon shell ensures abrasion and water resistance. Temperature ratings and brand labels are often confusing, so it’s important to understand this bag was given a European Norm (EN) lower-limit rating of 25 degrees Fahrenheit, while it’s EN comfort rating is 35 degrees. This isn’t necessarily a huge deal during the summer but is something to keep in mind during any frigid early spring or late fall days. For its price, however, this bag is worth every penny. At just 1 pound, 12 ounces and boasting excellent compressibility, the Igneo easily fits into any backpacker’s pack. 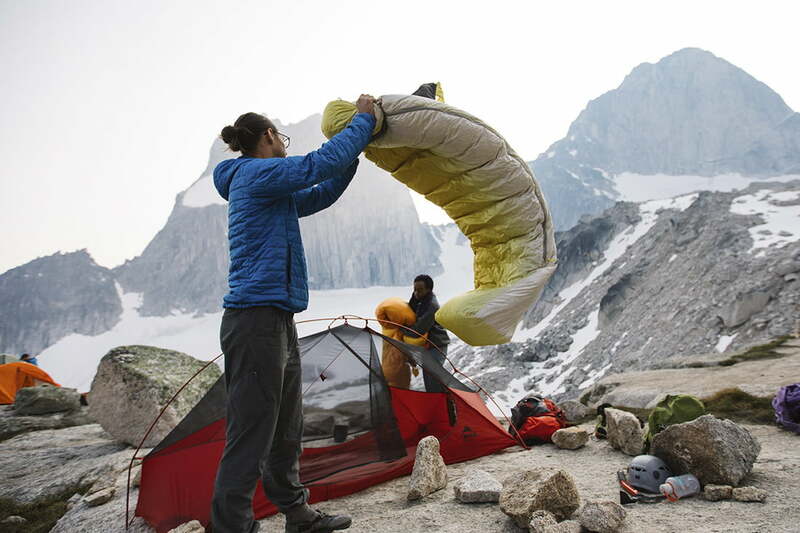 Patagonia is known for innovation and the Hybrid Sleeping Bag is no exception. 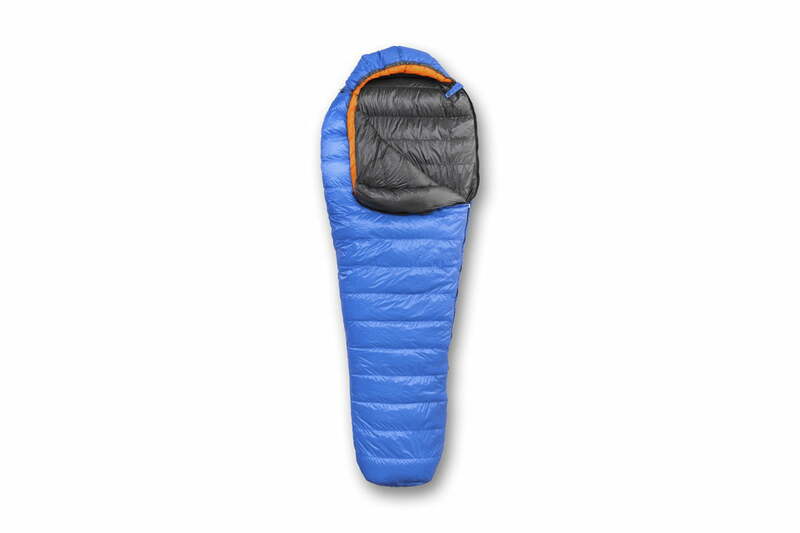 A niche product but at first glance, you realize it’s technically only half a sleeping bag. How does it work? You can either pair it with a puffy coat for colder nights or cut weight on light and fast backpacking trips during the warmer months. 850 fill power goose down in a traditional “elephant’s foot” design ensures your bottom half stays just as toasty as other options on this list and your top half’s warmth simply depends on the coat you pair with it. In summer, you might be comfortable with a light fleece whereas, in winter, you’ll want a warm puffy coat. Climb in, tighten the drawcord, zip up the top, and you’re ready for sleep. Best part? You wake up half dressed. Weighing just 17.3 ounces, you’ll appreciate adding this bag to your backpacking kit for when you want to save space and move fast. While a half sleeping bag is not for everyone, it has its place in the increasingly lightweight outdoor realm and is absolutely worth the $300 price tag. If you’re planning on backpacking in colder temperatures, you’re best off picking a sleeping bag made by down experts like Western Mountaineering. The company stuffs this bag full of 16 ounces of premier down that lofts to 5.5 inches — making it worth its $500 price tag. Every feature of this bag was designed with warmth in mind, including the full down draft collar. At just 1 pound, 13 ounces, this bag is the lightest on this list. It also compresses and packs away to a surprisingly small size. Its downside? It may be just a touch too warm for mid-summer expeditions and it cuts weight by using a thinner face fabric. The Extremelite 12-denier shell is soft to the touch (which we like) but also makes it prone to tearing and should be treated with care. If you’re a cold sleeper, or plan on backpacking in frigid climates and have the money to spend, this is an ideal sleeping bag for you. Synthetic insulation is a bittersweet technology. While it dries faster than down and is much less expensive, it’s not nearly as warm and is typically heavier. However, North Face found a happy medium with the Hypercat 20. This craftily designed bag boasts a 20 degree Fahrenheit temperature rating (and 30 degrees Fahrenheit comfort rating), yet weighs in at just 1 pound, 14 ounces — an impressive feat for synthetic insulation. The company filled the Hypercat with HeatSeeker insulation, integrated a draft collar, and included a draft overlap, ensuring comfort in colder weather. It also boasts an advantage in warm weather with its half-length center zipper that can be pulled down, providing for excellent ventilation. One thing to note is that the Hypercat is minimally insulated on the bottom, as it’s meant to be paired with a sleeping pad. If you’re to be backpacking in relatively wet conditions, the Hypercat is a great alternative to down — and it costs a reasonable $240. 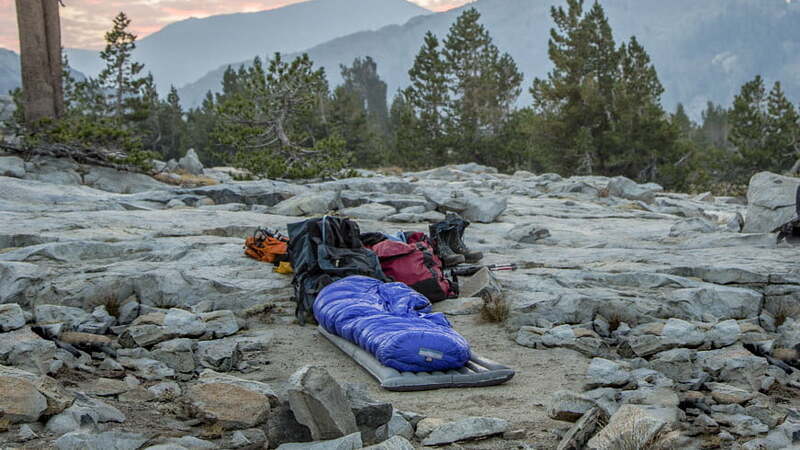 Therm-a-Rest is known for its dedication to crafting products that ensure a good night’s sleep in the backcountry. Its Fast and Light sleeping bag line is new for 2018, and includes the all-around Parsec 20 which was designed for alpine starts and ultralight bivys. 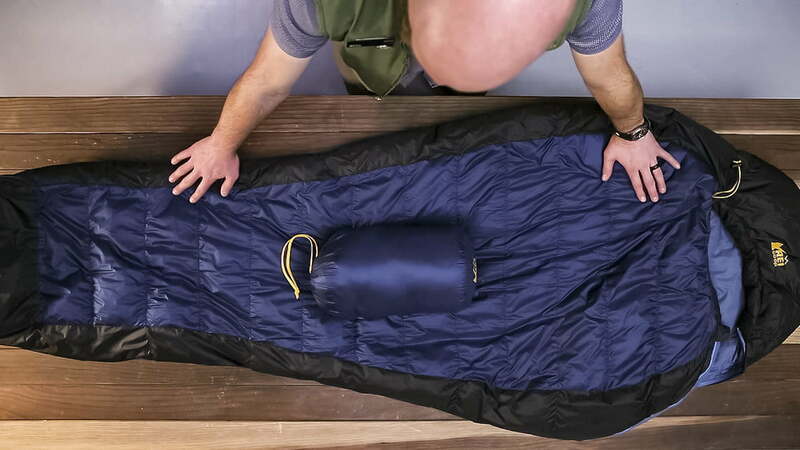 This sleeping bag packs a powerful punch for just $380. The mummy-style bag features insulation where you need it most, with 60 percent on top and 40 percent on the bottom. Therm-a-Rest integrated its proprietary ThermaCapture technology, which is an inner lining that reflects back radiant body heat, amplifying warmth without adding weight or bulk. The bag is stuffed with 800 fill Nikwax hydrophobic down, which dries faster than untreated down, making it ideal for alpine conditions. At 1 pound, 12 ounces, the Parsec 20 makes for a great all-around bag, ready to keep you warm on your next alpine pursuit. It’s important to understand sleeping bag temperature ratings so you select the appropriate product for your body and sleep style. This is especially true in colder weather when hypothermia is a concern — frankly, it’s just better to play it safe with regards to warmth. If conditions are toastier than expected, you can always unzip your sleeping bag and drape it over you like a blanket. Backpacking sleeping bags are usually three-season bags, rated between 10 and 32 degrees Fahrenheit. The EN rating is the most dependable and standardized international system used by most companies — but not all. Those who use them assign two EN ratings to each bag to help you better understand its seasonal capacity based on your personal preferences. It’s better to err on the conservative side concerning temperature ratings. It’s also important to understand that EN ratings assume you’ll be sleeping on a pad, wearing a beanie on your head, and dressing in long underwear. Warmth is associated with loft, determined by a height measurement of the down. 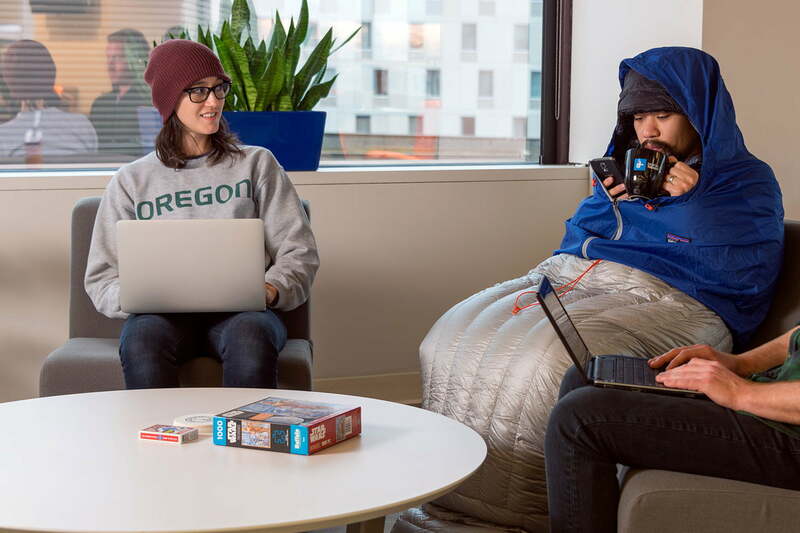 Fill power indicates a sleeping bag’s ability to loft. The higher the fill power, the lighter the sleeping bag, as a higher fill power usually indicates higher grade down. Furthermore, the higher the loft, the warmer the bag. The only exception to this rule is when you bring fit into the equation. A loose-fitting bag introduces the opportunity for increased dead air space and as a result, cold spots — no matter what the loft may be. Backpacking bags are generally more fitted for weight-saving purposes but it’s important to pay attention to the bag’s measurements and buy a correctly fitting bag for your body type. Sleeping bags are usually available in Regular and Long lengths, with the Long style designed for taller people. While down sleeping bags were traditionally used exclusively for backpacking due to their unmatchable warmth to weight ratio, companies are vastly improving the quality of synthetic insulation and many synthetic sleeping bags have joined down in the backpacking ranks. Synthetic insulation is constructed from a blend of polyester materials and in many areas, down just can’t compete — highlighted by its quick-drying nature and obvious advantage in wet conditions. Other advantages of synthetic insulation include being non-allergenic and less expensive than down. When you don’t have a lot of money to spend on a sleeping bag, it might be worth going a little heavier and buying synthetic. Down edges synthetic regarding warmth to weight ratio and compressibility and is also exceptionally long-lasting. If you want a sleeping bag which retains its loft for 10 to 15 years, invest your money in quality down. Another important thing to note is it’s completely useless from a warmth standpoint when wet. This is why many companies treat their down with a water-resistant application — resulting in “hydrophobic” down which, in addition to a waterproof face fabric, helps down maintain its warmth in wet conditions. You’ll see goose down listed for some sleeping bags and duck down listed for others. Is there a difference? Yes, but both keep you immensely warm. Goose down (from mature geese) is capable of attaining higher fill values including 900+ but is typically more expensive. Many companies select duck down as their down of choice due to its abundance and decreased expense. Women are obviously not shaped the same as men. What this means is that if you’re a woman, there are definite advantages to buying a women’s specific sleeping bag. Women tend to have wider hips and narrower shoulders and are generally shorter than men. Companies have applied this formula to women’s specific sleeping bags, adding more width at the hips, tucking in the width at the shoulders, and making them shorter in length. In addition, since women are usually colder sleepers than men, women’s specific sleeping bags are often designed with added insulation in the upper body and/or foot box. Total weight depends on a number of factors including insulation weight, shell type, amount of insulation, and the addition of features. When it comes to backpacking weight, everyone has a personal preference for how much they’re willing to carry. Some people won’t mind the extra weight of a less expensive down or synthetic bag, while those who count ounces might look for the best weight to warmth ratio they can find — or opt for a half bag, such as the Patagonia Hybrid. Slimmer-cut bags also tend to weigh less, so if weight is a priority, look for a bag with a tighter fit — or perhaps fewer features.